It’s a human thing. Not limited to one religious heritage. I’m talking about the foibles of scholarship as it delves into its own heritage. Alas, the idea that a messiah killed by crucifixion . . . . would be shocking to first-century Jews is still alive and well. At the very least, however; Paul’s primary emphasis in relation to Christ represents something utterly remarkable. For Paul had found the early Christian proclamation of the crucified messiah completely abhorrent . . . .
. . . . an unprecedented and momentous innovation in traditional Jewish liturgical practice. It took an astonishing energy and dedication to create and sustain this literature. It must have been produced by an extraordinary historical event. And what could this event be, if not the appearance of a revolutionary spiritual genius? The Buddha’s presence as a living figure in the [early Buddhist texts] is overwhelming and unmistakable. Is that true about the grounds for scientific conclusions? I’m not so sure. 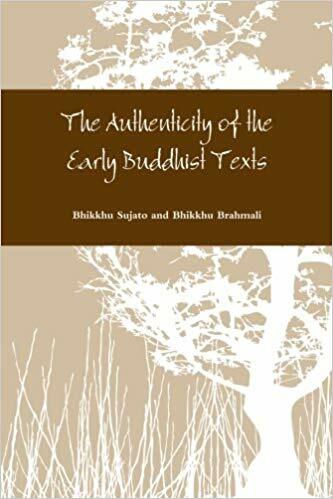 Anyone wishing to establish the thesis that the [early Buddhist texts] are inauthentic needs to propose an explanation that accounts for the entire range of evidence in a manner that is at least as simple, natural, and reasonable as the thesis of authenticity. To our knowledge, this has never even been attempted. Rather, sceptics content themselves with picking holes in individual pieces of evidence, which merely distracts from the overall picture, and discourages further inquiry. Their methods have much in common with denialist rhetoric (see section 7.4). 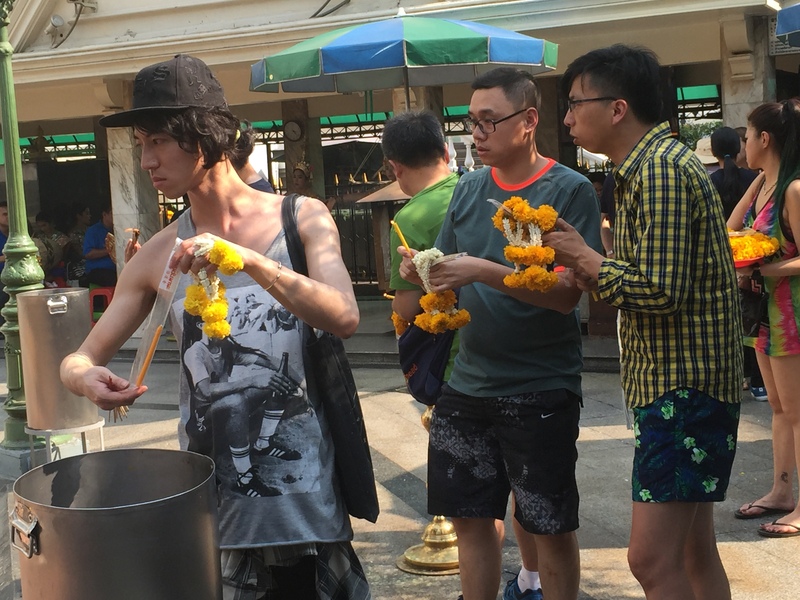 Today I returned to the Erawan shrine in Bangkok to see how it had fared since last year’s bomb attack (that the Thai government refuses to call an act of “terrorism”). There was very little to remind anyone of the carnage last August. It was very much business as usual. I do feel for the Thai dancers, though. They surely have one of the most gruelling jobs — hours every day sending up prayers to the god through their dance and chants. Tourists (I’m sure they are mostly tourists, Chinese and Japanese mostly) and the occasional local drop by to pay for a blessing or prayer; the more they pay the longer of more effective the prayer, I think. Pay little and maybe only two dancers will do their act; pay lots and you’ll get the full house. The number of musicians remains constant. It looks to me like the prayer or blessing one pays for is written on a piece of paper and handed to a lead dancer so she is sure to say the right things and decide how many should accompany her. And whenever they get a chance for a break they get those crowns off their heads very fast and make the most of their short breaks — checking iphones, having a smoke. It was very hot work and they looked like they were fast wearing down in between dances. I suppose you could call it a service industry. Those earning the money are giving hope and comfort, not unlike western psychiatrists, astrologers and priests, perhaps. I try to imagine what Jesus would want to cast out here. Surely he’d have pity on the tedium and low pay that the dancers and musicians so stoically endure. Perhaps he’d be offended at the rip off prices charged for the holy trinkets, incense sticks, prayer scrolls — but he would want to be careful he did not leave the cleaners and maintenance staff without a job. 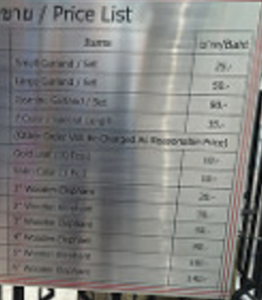 But the prices don’t look all that “rip off” to an affluent Westerner like me. 25 baht is a little less than $1. A $1 for a garland would be very expensive for the poorer Thais but hey, this is a Hindu shrine in “the land of the Buddha”. (Though Buddhists do seem to me to pray to anything that looks sacred.) 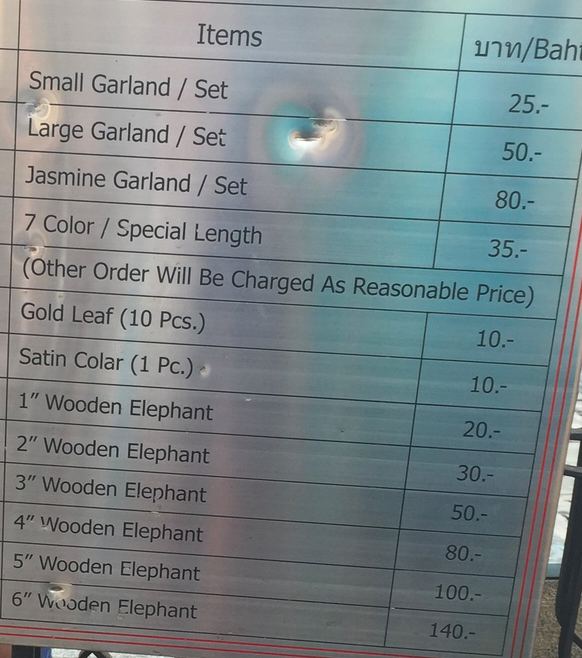 Maybe Jesus would be angry that the prices prohibited the poorer Thais from participating. But on the other hand there don’t appear to be an over abundance of those poorest Thais in this central part of the big city dominated by multinational brand names no matter what direction one looks. Maybe Jesus would just like to see the dancers, musicians and maintenance staff get a bigger slice of the day’s takings. Looks like two Chinese tourists planning where to place their garlands and incense sticks and one local (left) who has done it many times before. . .
Today in Singapore is a public holiday, Vesak Day. It’s a Buddhist festival. One positive about Singapore is that public holidays are officially sanctioned for each of the faiths in this multicultural city state: Buddhist (+Taoist), Christian, Moslem, Hindu (+Sikh). I’m not a Buddhist and I shy away from its sermonizing about mind-control/thought stopping or Cognitive Behavioral Therapy (CBT) to “remove one’s mind from what might cause suffering”. Not that I’m against CBT. I’m sure it’s a great benefit to many people. I’m not a fan of the Dalai Lama, either. I don’t like his politics and I especially don’t like his giggly way of justifying a report of poor villagers raising money for a local temple or statue when their health and lives remain at risk from a lack of basic sanitation. Nor do I keep my patience when monks pretend to be striking up a welcoming conversation only to lead the conversation to where they can try to bite me for money. But at least they do provide an alternative floor to sleep on for those who would rather not opt for the subway, so I believe. But for all that, I do find all the colour and paraphernalia that comes with special Buddhist festivals (and even some of their less ostentatious temples) to convey a happy peacefulness and tranquility. 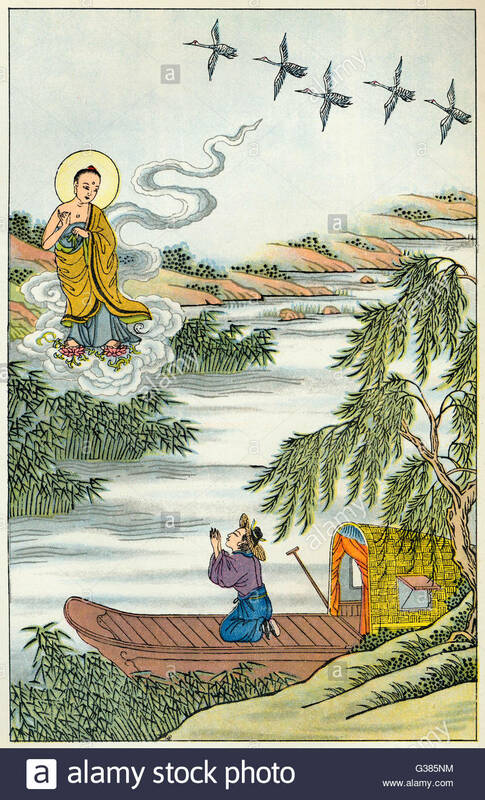 But a happy smiling Buddha, and lots of lotus flowers and tranquil pools of water and graceful statuettes is undeniably a far more positive, relaxing and happy image than the suffering figure of a crucified man. One focuses one’s thoughts on peace and wellbeing for “all sentient beings”, and the other on guilt, pain, suffering, horror, desolation, especially guilt and sin. Is it surprising that Buddhists I know or know of seem so much more tolerant and at peace with difference, than so many Christians who, speaking generally certainly, at best, struggle with difference and “the other”? A few more, for what they’re worth, on flickr.